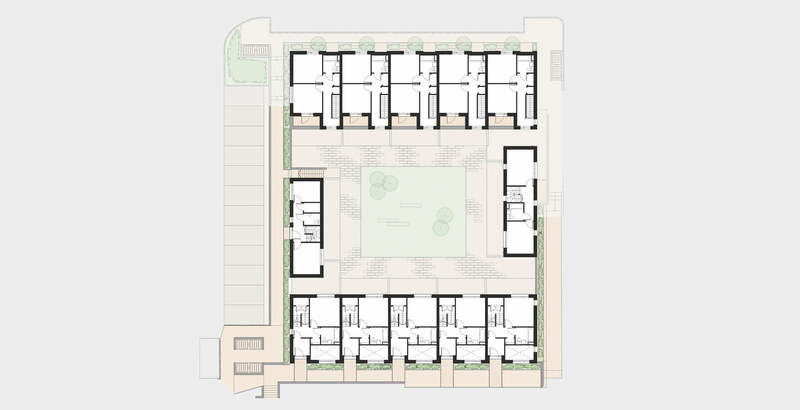 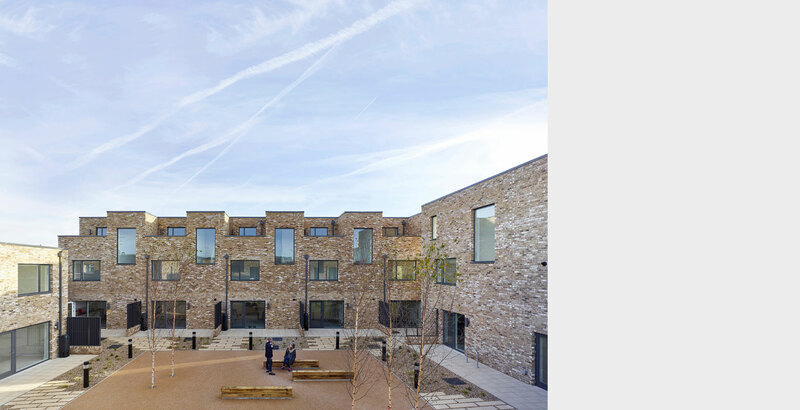 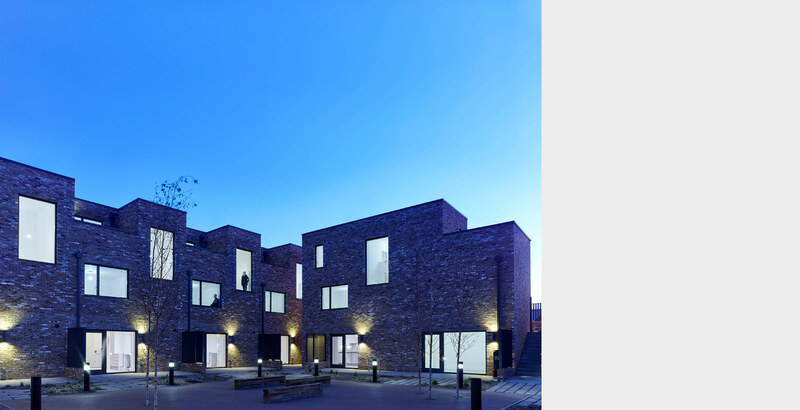 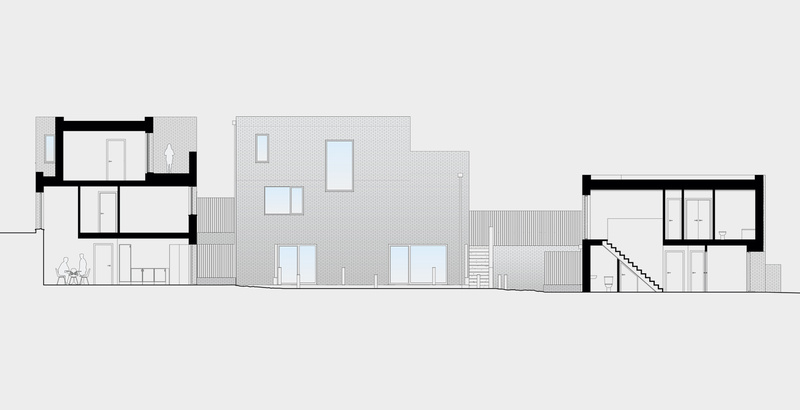 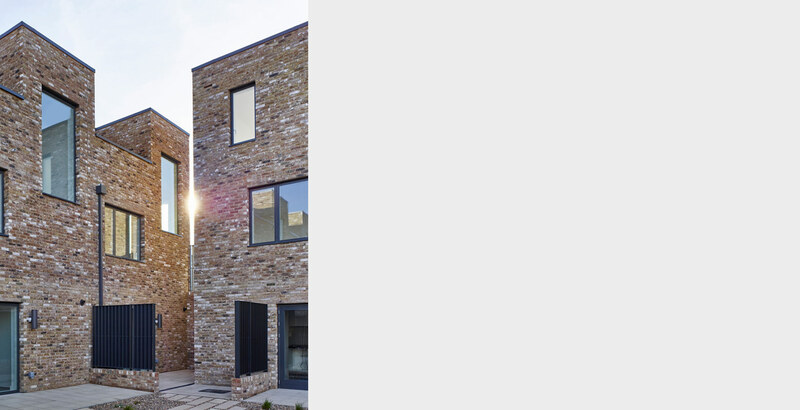 The development comprises twelve new homes arranged around a central communal courtyard garden. 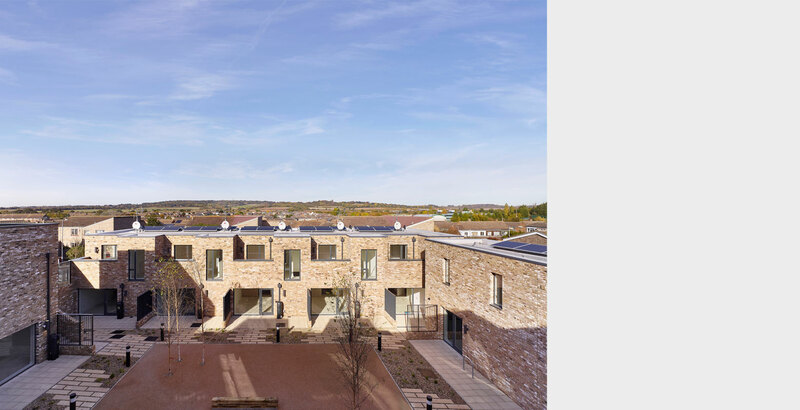 The houses have been designed to make the most of the sloping site and views to the countryside beyond and to offer outstanding levels of amenity and light. 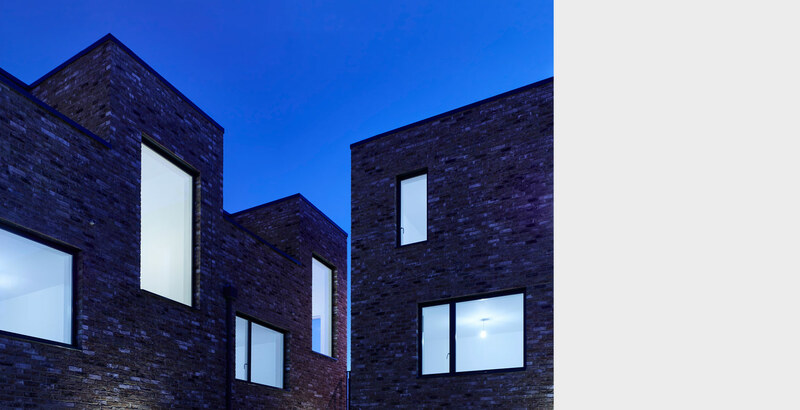 Three-storey terraced houses on the higher part of the site benefit from double height space which brings light into the living space from the south and roof terraces that offer views towards the north. 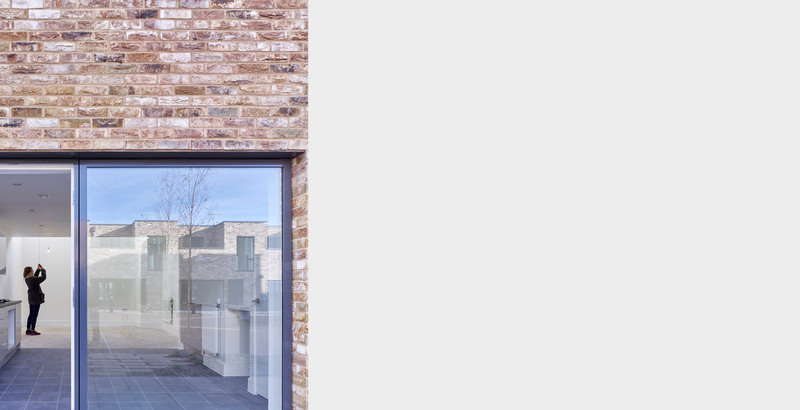 Smaller two storey terraced houses front on to the adjacent street and have terraces that face southwards into the communal garden.